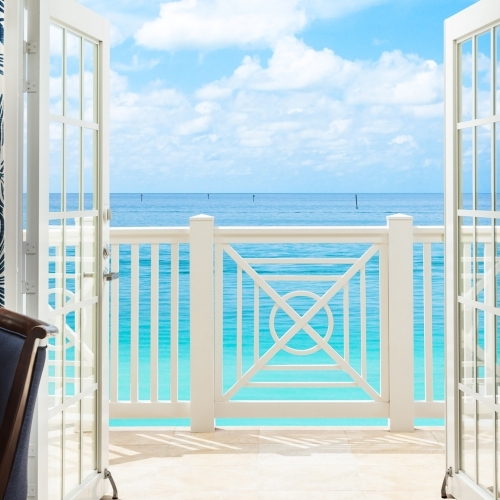 A quiet corner by the sea. 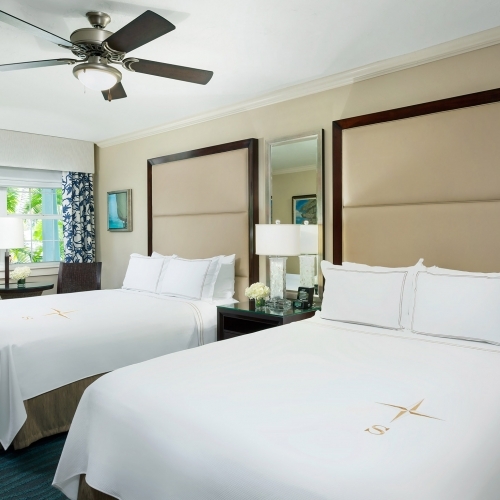 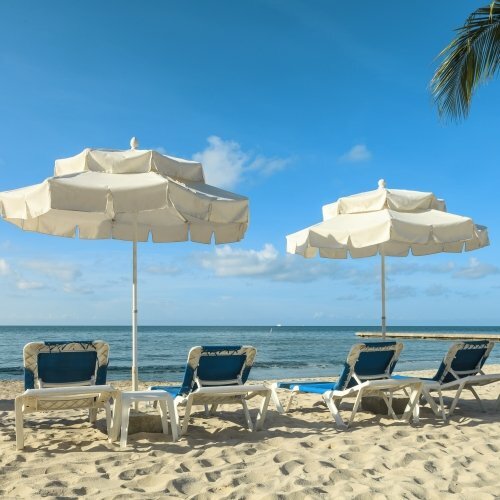 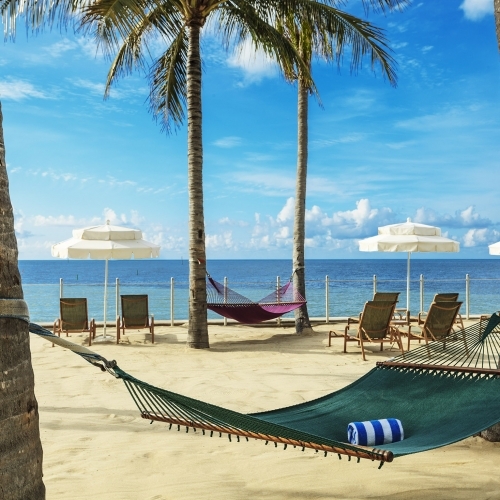 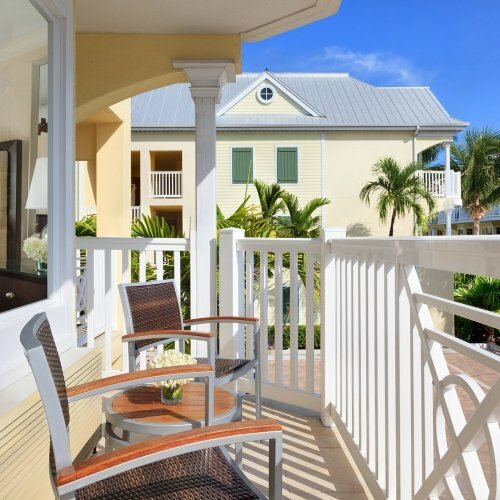 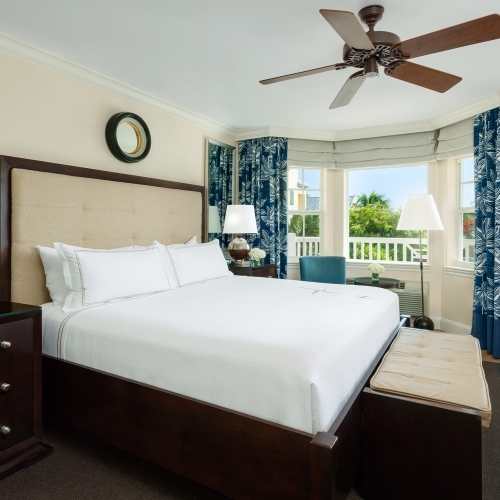 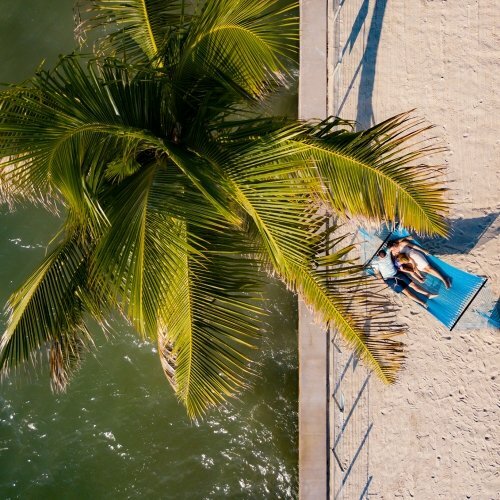 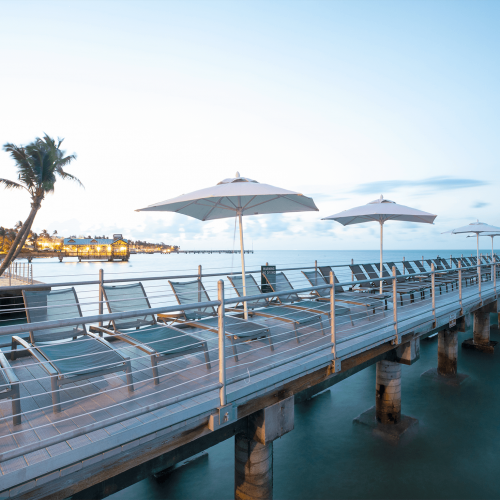 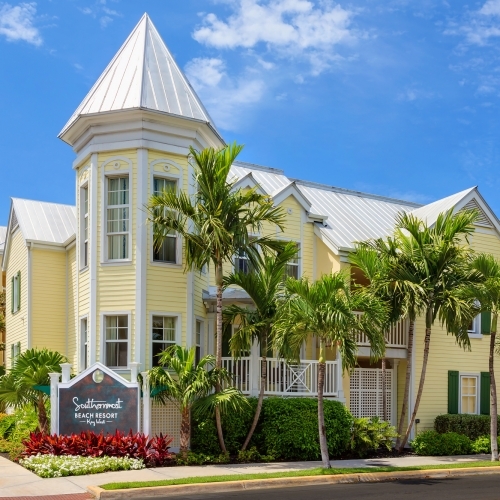 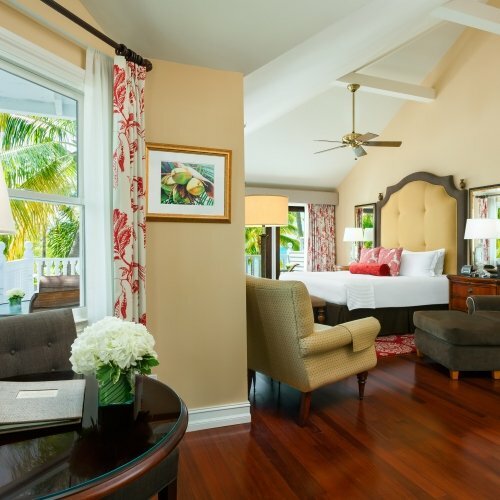 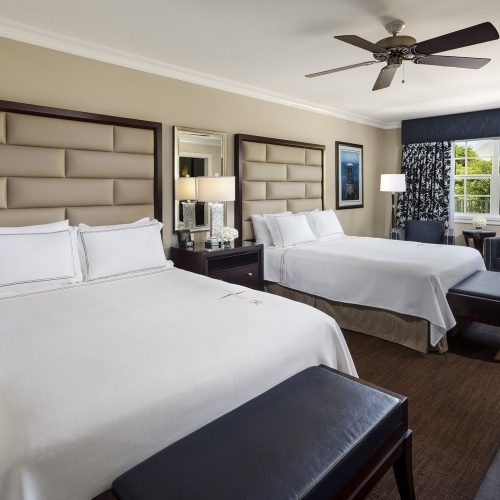 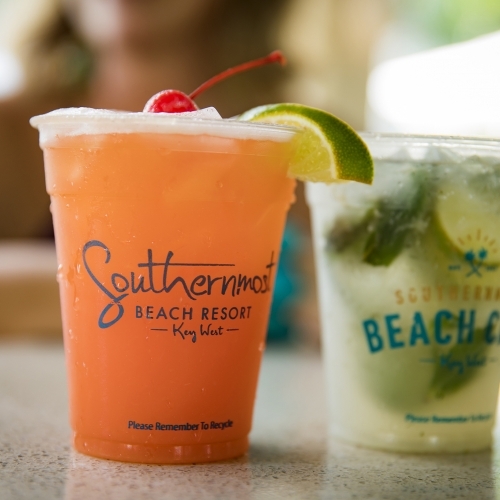 Conveniently located near parking and close to Southernmost’s fantastic amenities, enjoy a king bed and fully accessible bathroom in our ADA Compliant guest rooms. 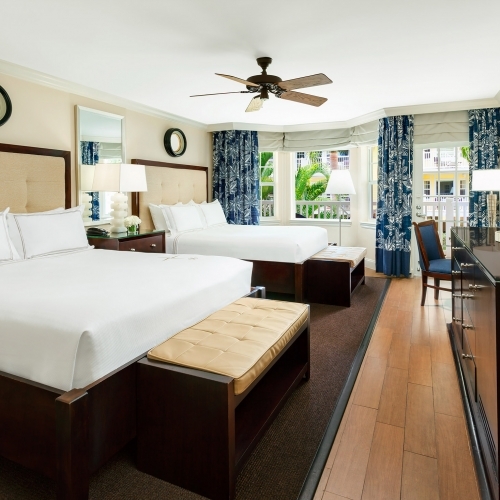 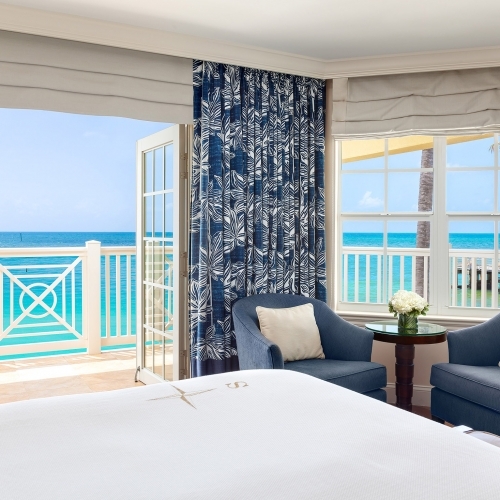 Each guest room invites you to vacation in style with a warm neutral palette accented by nautical blues, dark wood tones, and chic coastal décor. 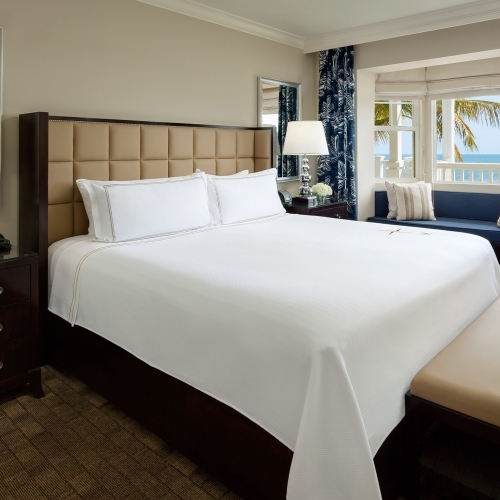 From your seaside retreat, experience the ease and comfort of a beautifully appointed space, expertly designed with your needs in mind. 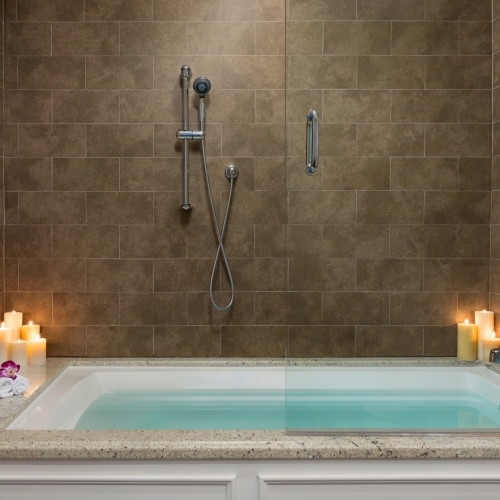 Accessible peep holes, ADA compliant telephones, and fire strobes ensure your safety, while spacious modern bathrooms equipped with roll-in showers, handles, seating, and raised toilets provide everything you need to relax, rejuvenate, and refresh. 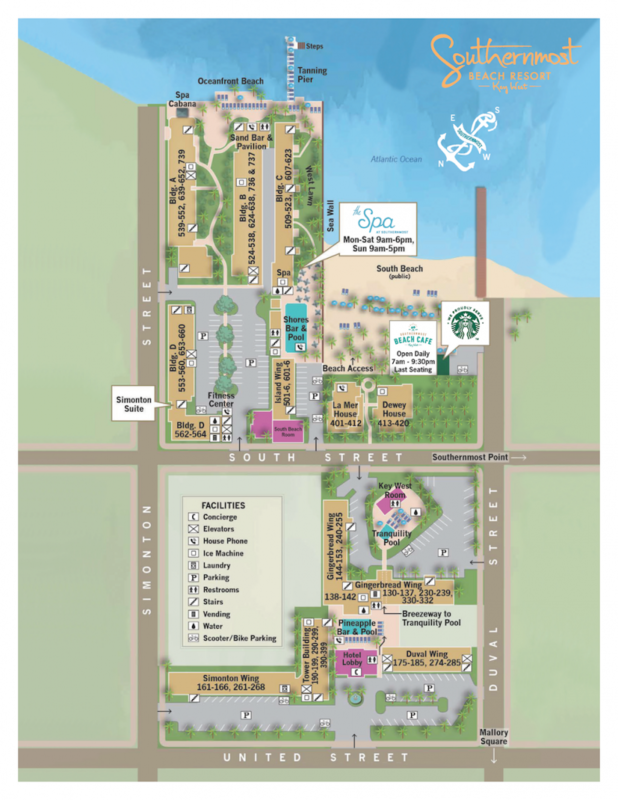 To read more about the Resort’s accessibility, please review our ADA Accessibility page. 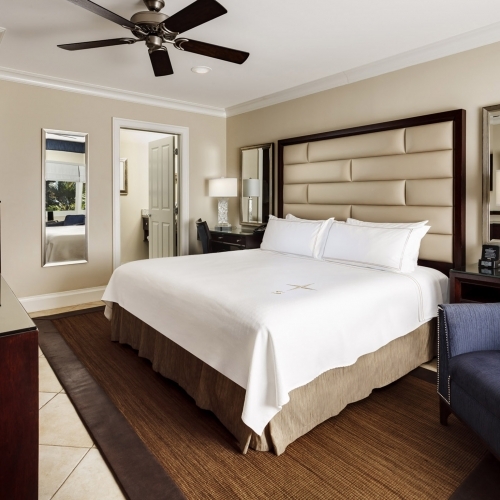 Enjoy accessible amenities when you stay in our Superior King ADA guest room, including wheelchair access and a king bed. 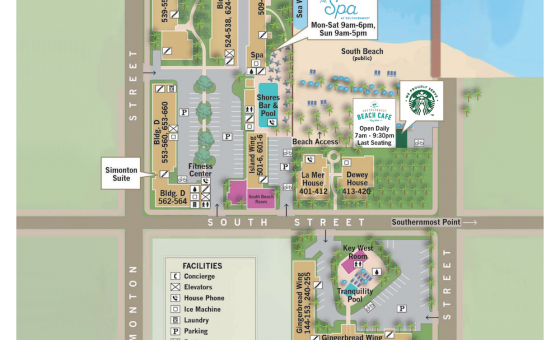 Our Superior King ADA guest rooms are located on the first and second floor of the Simonton Wing, Building C, and Building D. View the map below for exact location and property details. 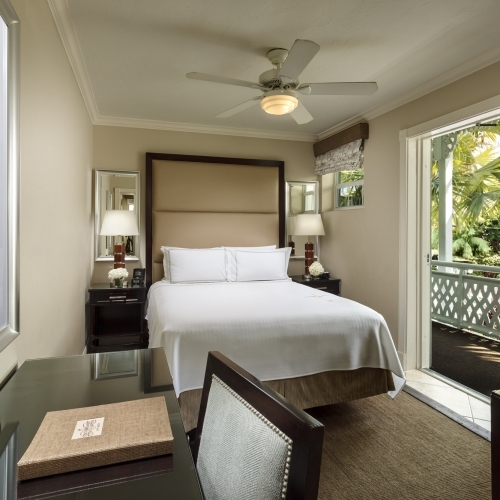 The layout, location, and view of rooms may vary slightly from the above images. 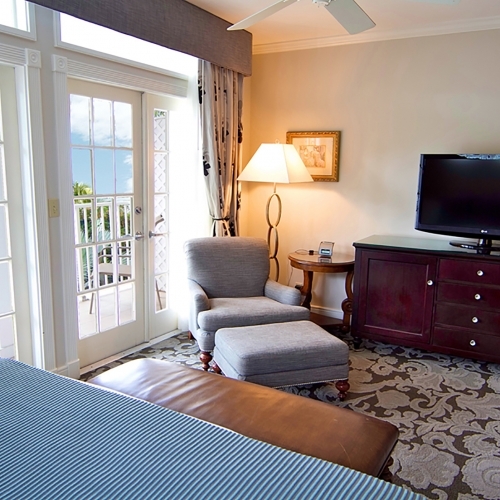 All rooms are non-smoking and 400 square feet. 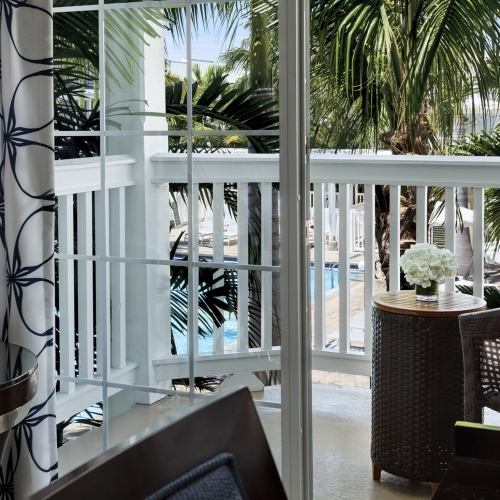 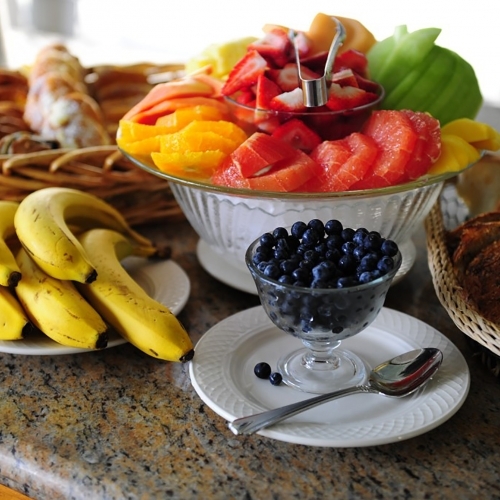 For additional information on resort fees, please see our Hotel Policy page.